Asparagus Farmer Petrus Tsotetsi on Morgenson Farm near Rosendal. These days Petrus Tsotetsi might be a successful farmer, but not too long ago he was fixing cars for a living and also previously worked as a supervisor for Metrorail, which operates commuter rail services. Tsotetsi’s family, however, built their livelihood on their farm in Kestell, Free State. His father was an exceptionally open minded businessman who farmed with grain and cattle, and after his father’s death in 2003 he simply had to step up. 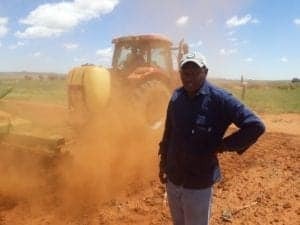 He leased the land until 2012 and successfully completed agricultural courses in 2013 and 2014 and the rest is history. 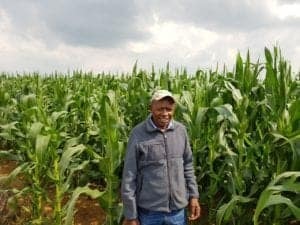 “From that point onwards I never looked back and I started running with this farming business,” says Tsotetsi, referring to the 55 hectares of dry beans he planted, of which 25 hectares was with the help of the Department of Agriculture. Tsotetsi was incorporated into VKB’s development programme in 2016, which is held in partnership with the Jobs Fund and the Grain Farmer Development Association (GFADA). Since then he has benefited from further training and development, mentorship, technical advice, financing, inputs and product markets. Petrus Tsotetsi’s family built their livelihood on their farm in Kestell, Free State. 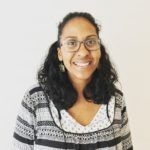 “VKB’s support has been fruitful. I am committed to farming because of their backing,” says Tsotetsi. He also credits his parents who were very supportive of him and his younger sister in their formative years. Tsotetsi attended Makhalaneng Primary School and then went on to Dithotaneng Senior Secondary School, both in Phuthaditjhaba. He matriculated from Makabelang High School. In 1993 Tsotetsi started his own business fixing cars after he completed a motor mechanics course in the previous year. During this time he was also assisting his father with financial management and other general farming operations in Kestell. In 2000 Tsotetsi joined Metrorail as a supervisor on contract basis until 2004, when he was permanently hired to manage the company’s subcontractors until 2009. 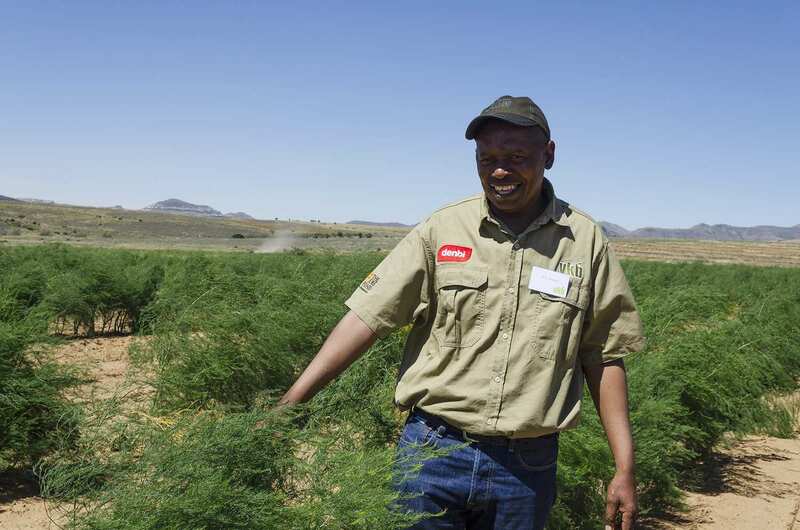 While Tsotetsi is being supported to continue his grain farming, he also farms with asparagus. Tsotetsi and three other new farmers from the Qwa-Qwa region established a primary cooperative as part of a project by VKB and the Jobs Fund. He also serves as the chairperson of a cooperation known as the Tswelopele Asparagus Co-op. He says farming with asparagus is different from grain farming, primarily because the plantation is annual. Tsotetsi adds, however, that asparagus farming creates more jobs for the community due to the long periods in which physical labour is needed. The farmers harvest asparagus every day for a period of six months and clean the fields almost every day. Soil preparation on Tsotetsi’s farm in Kestell, Free State. Passion, hard work and dedication is what drives this farmer. Learning new agricultural practices, particularly advanced technology in the sector, and seeing the positive results of his hard work is what keeps him going. Tsotetsi aims to become a commercial farmer and to create more jobs for the community. He also aspires to be in a position to export more agricultural grain.